Now this cheers my heart! You have a wonderful way of capturing those beautiful little creatures. I hope your week is going well. Happy Wednesday! ...ah a wee bit of summmer. 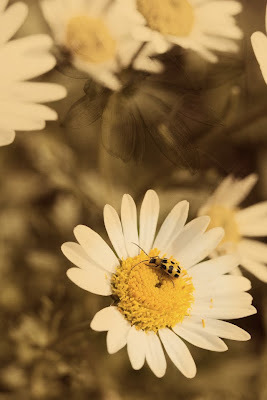 So lovely, the beetle and the daisy (my favorite).